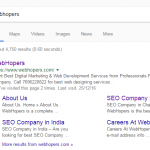 How to Optimize Website for Bing Search – Want to optimize your website for Bing search? Google has been dominating the search engine market with 67% share. Yahoo! & Bing holds their own importance in that case. Bing is stood second with 19.4% share in the market. On an average Bing Network have over 149 million unique searchers each month and 5.2 billion searches a month. 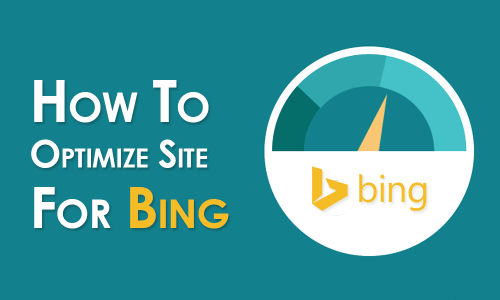 In this blog, you will read about how to optimize the website for Bing search. How Bing Search Algorithms Differs From Google Search Algorithms? The search engine Bing is susceptible to loads of spam techniques. Thus, their algorithms are not complex in comparison to Google. Google frequently change their algorithms in comparison to Bing Network. The competition is not cut throat on Bing. 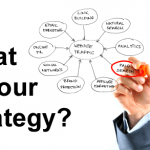 The webmasters are more focuses on Google searches is the reason behind it. It creates an alternative platform for site owners who want to go beyond just Google for search listings. Bing’s search is not complex or as advanced as Google. Using traditional methods helps a lot. Use anchor texts based on keywords on inbound backlinks related to HTML titles. It should point the page you are trying to promote. Exact keywords can be replaced with related words to build a connection with Bing’s indexing bots. It is good to avoid long and repetitive titles and generic terms like Home and About Us. 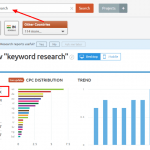 Search engines have one thing in common while optimizing i.e. good content. A unique and good length content is favored by all. Use synonyms or alternative words more. Keep up with regular publishing calendar. Schedule of updating should be diligently followed. Maintain the length of 300 words. Longer the posts better will be rankings chances. Being social is good but avoid too many ads. Try to keep the navigation parts simple & content appealing to the visitors. 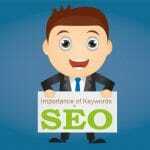 From Snippet to Tags, keep the keywords focused and clear. Use backlinks of your website & make sure you do it from legitimate sites. Bing gives good weight age to outbound links. Internal links and links to trusted external resources should be take in into consideration. Engaging with the audience is what encourages at all platforms. Share about your website on all the major social media platforms. Using tags and hashtags are a good way of optimizations. Social Influencer Marketing has been appreciated by Bing. If you own a good website is good but having a genuine one is important. Bing does recognize it if you have the local listing. Go to Bing Business Portal for registration. Claim it in case you are registered. If you are not registered here, then you can do it right away. Fill as per the instructions and make sure the details stay consistent through the web. No shady practices will be encouraged on Bing. Cloaking is a complete ban which can result in delisting. Influences of Social media counts and not Followers. Keywords stuffing or imitation of previous content can make Bing distrust you. Bing may be sensitive to spam but surely you have to make your website work on Google too. Tradition SEO practices are still in use for Bing. Being Genuine and Frequent is the rule here. I hope the article was helpful to you.